This is a bit of a hodge-podge of ingredients we’ve got lying around. Leftover goat from my birthday that been in the freezer, a jar on Mexican tinga paste approaching it’s best before date, dry kidney beans, all combining to a slow goat tinga. 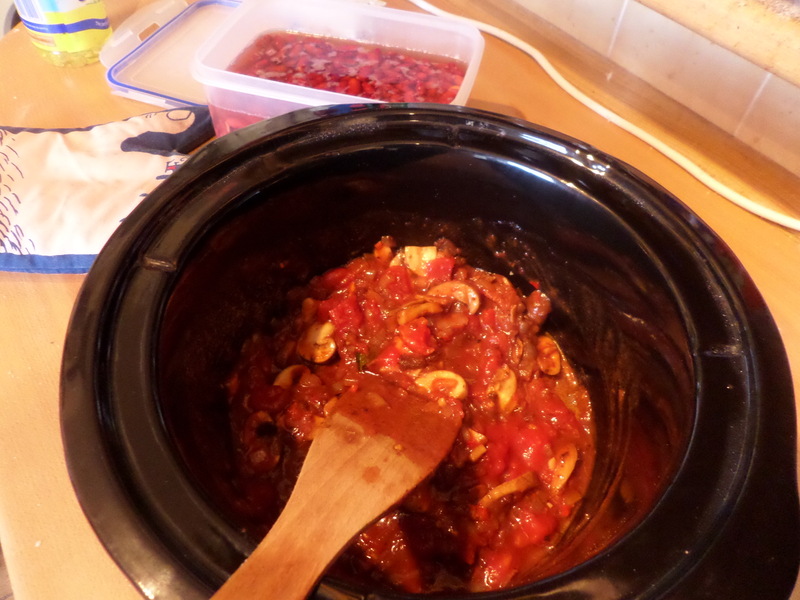 As always with slow cooker recipes, it’s more than just bunging everything in the pot and walking away. Beans have to be soaked and a base of onions, mushrooms, chillies, seasoning and Mexican oregano need frying up. 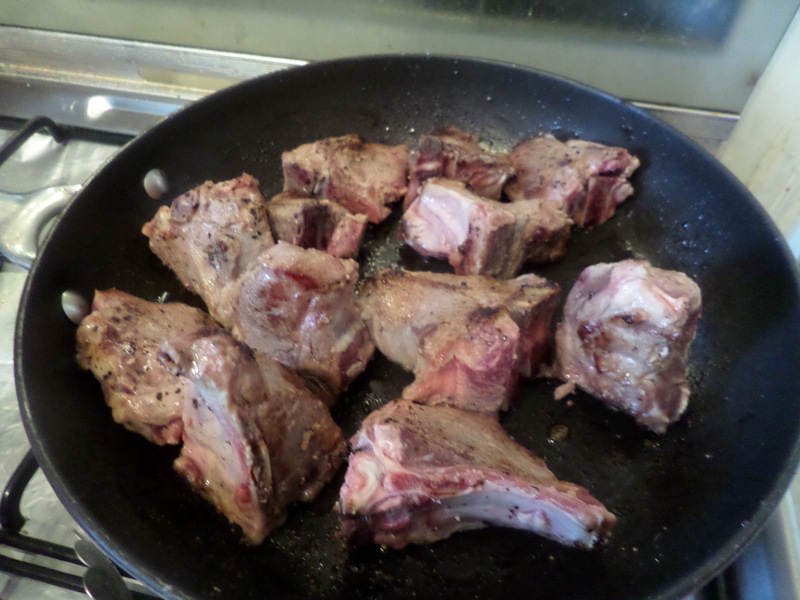 Then the goat needs frying off to give it some colour. Only then does it all go in the pot, along with a can of chopped tomatoes and pork stock.